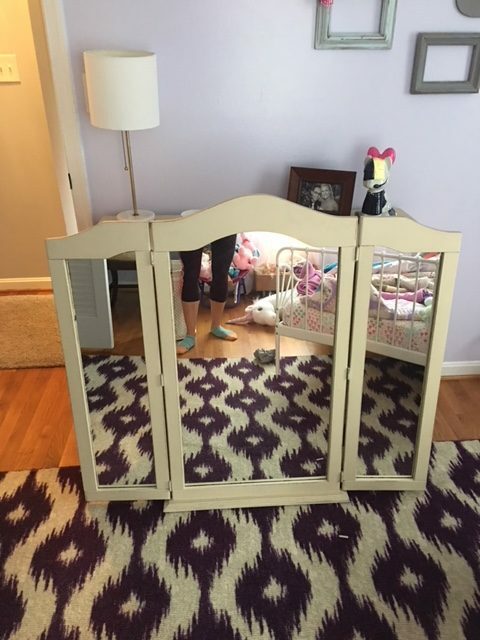 This week’s favorite find is actually two pieces and although I said it was a bedroom set in the post’s title, they actually are not truly a set. However, they are both going into a little girl’s room as her new bedroom furniture and need a cohesive look. We decided on pale gray for both pieces and new drawer pulls. It won’t make them a set but they will coordinate nicely together. 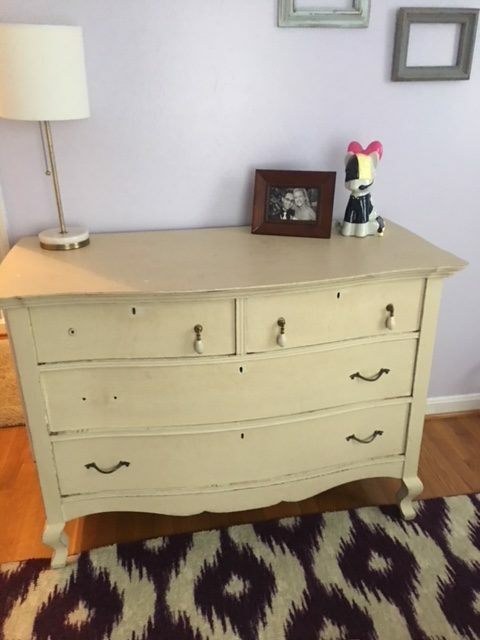 Here is the first piece, a very vintage dresser with mirror. And the second piece is this vanity, also with a mirror. 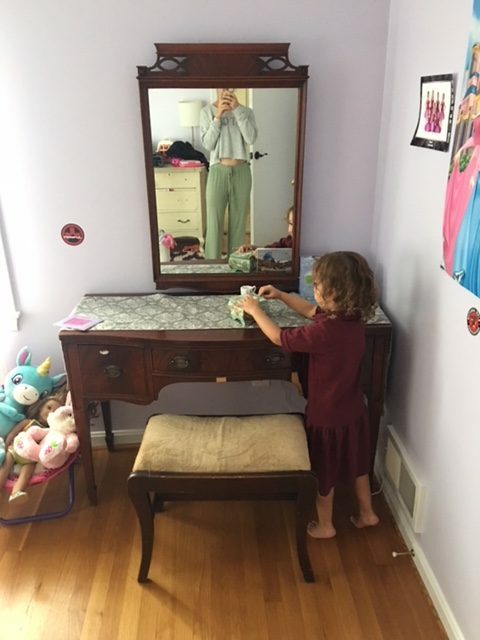 Stay tuned for a very sweet makeover that I will be posting mid-week on a different vanity. They are coming at me lately in all different directions!